One of the most colorful characters in modern history, Catherine II of Russia began her life as a minor German princess, until the childless Empress Elizabeth and Catherine's own scheming mother married her off to the Grand Duke Peter of Russia at age sixteen. By thirty-three, she had overthrown her husband in a bloodless coup and established herself as Empress of the multinational Russian Empire, the largest territorial political unit in modern history. Portrayed both as a political genius who restored to Russia the glory it had known in the days of Peter the Great and as a despotic foreign adventuress who usurped the Russian throne, murdered her rivals, and tyrannized her subjects, she was, by all accounts, an extraordinary woman. Catherine the Great, the first popular biography of the empress based on contemporary scholarship, provides a vivid portrait of Catherine as a mother, a lover, and, above all, an extremely savvy ruler. Concentrating on her long reign (1762-96), John Alexander examines all aspects of Catherine's life and career: the brilliant political strategies by which she won the acceptance of a nationalistic elite; her expansive foreign policy; the domestic reforms with which she revamped the Russian military, political structure, and economy; and, of course, her infamous love life. Beginning with an account of the dramatic palace revolt by which Catherine unseated her husband and a background chapter describing the circumstances of her early childhood and marriage, Alexander then proceeds chronologically through the thirty-four years of her reign. 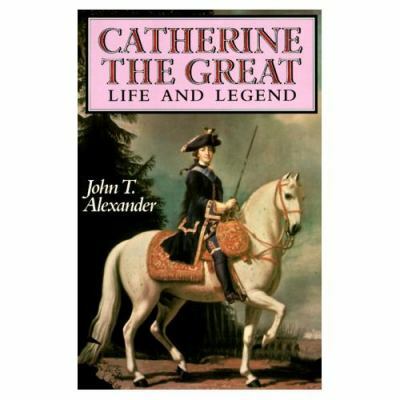 Presenting Catherine in more human terms than previous biographers have, Alexander includes numerous quotations from her reminiscences and notes. We learn, for instance, not only the names and number of her lovers, but her understanding of what many considered a shocking licentiousness. "The trouble is," she wrote, "that my heart would not willingly remain one hour without love." The result of twenty years' research by one of America's leading narrative historians of modern Russia, this truly impressive work offers a much-needed, balanced reappraisal of one of history's most scandal-ridden figures.Alexander, John T. is the author of 'Catherine the Great Life and Legend', published 1989 under ISBN 9780195061628 and ISBN 0195061624.